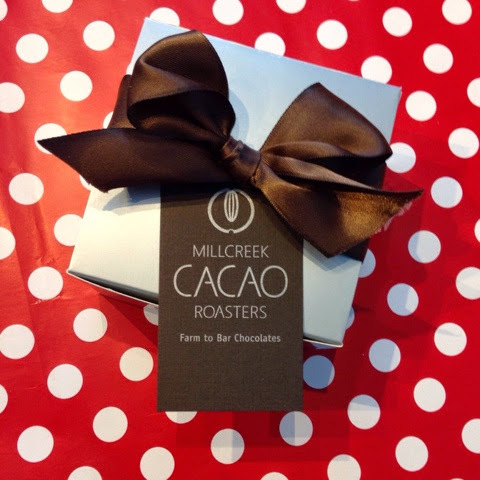 Please note that I was given samples of Millcreek Cacao Roasters Chocolate for review. All thoughts & opinions, as always, are honest & my own. Valentine's Day is almost here....are you ready? This year, instead of firing up the oven to bake a treat to end our at-home Valentine's meal, we're going to have a dessert cheese plate. Mmm, cheese. My favorite indulgences often include cheese, chocolate or nuts. Give me those, paired with good bread & I'll be yours forever. FOR-EV-ER. Which is why in my book, a cheese plate is an excellent way to end any evening. I know it may sound a little weird to think of a cheese plate at the end of dinner, rather than at the beginning, but believe me, it works. 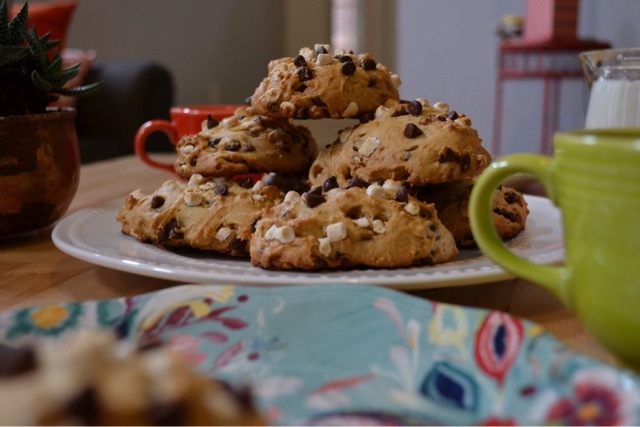 The subtle sweetness of the dark chocolate & berries, up against creamy cheese & the salty bite of nuts, make for an incredible combination that won't leave you searching for a cookie. And, if you're not in the mood for wine, coffee goes well with this plate too. I really went all-out on this slightly savory, just-sweet-enough plate. 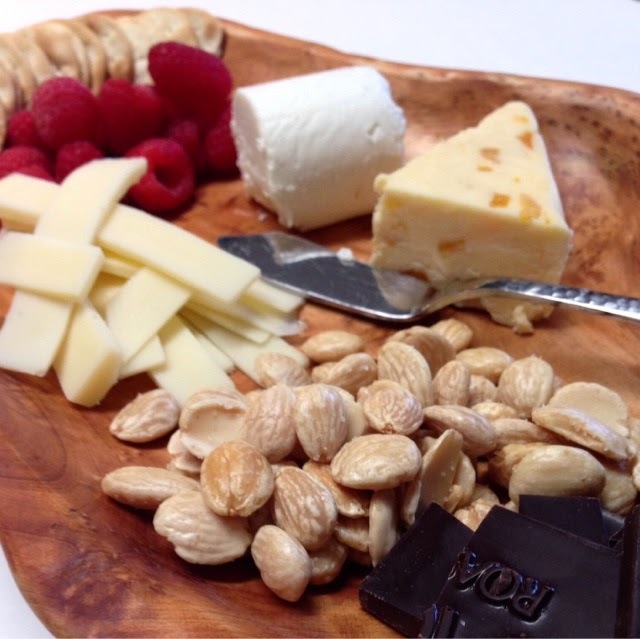 A few kinds of cheese, rich & buttery nuts, fresh fruit & some incredibly smooth dark chocolate that helped marry all of the flavors. 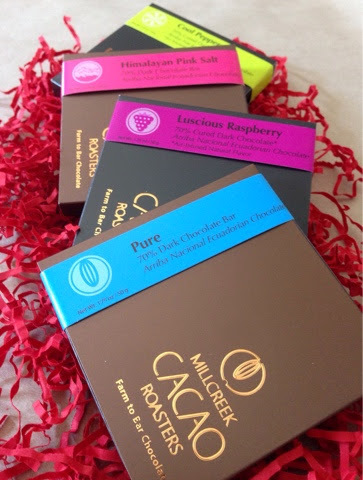 Let me tell you a little bit about Millcreek Cacao Roasters, who sent me a lovely sample box of their farm to bar chocolates. I was so enamored with the quality & blown away by the taste. The chocolate is velvety & the flavor of each bar was so pure, without any extra sweetness. A true gift from the chocolate gods. 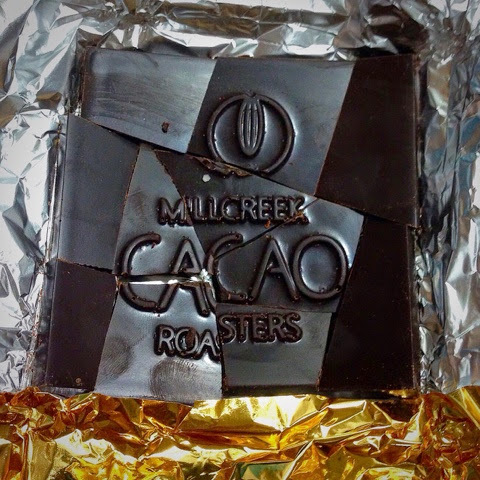 Millcreek Cacao Roasters also has an impressive business model; buying their cacao directly from a farmer in Ecuador, who sustainably grows, without the use of genetic modifications or child labor, & essentially, cutting out the middle man. Now, for the rundown of what we put on our plate. Every good cheese plate has to have a tasty vessel for cheese to be carried on. I found these mini water crackers & they worked beautifully. They're small enough to keep portions in control, but big enough to put a good hunk of cheese on. I went with fresh raspberries because they looked awesome when I stopped in the grocery store this week, but a crisp apple cut into wedges would be just as lovely. I love pairing bright, colorful fruits with cheeses. It adds a needed pop of color & flavor. The good stuff. I found all of these specialty cheeses right in my neighborhood H.E.B.. It's amazing the variety of offerings most local grocery stores have now. A good rule of thumb when it comes to putting together a cheese tray is to choose no more than three different varieties. Even if you're entertaining, more than a few cheeses can be overwhelming. Be sure to go with your tastes, likes & dislikes, but keep in mind that it's good to mix up textures, flavors & types. A hard cheese, a soft cheese & a wildcard is what I usually go by. For our Valentine's evening, we went with a go-to, Gruyere, & added in a local goat cheese, Lone Star Chevre. 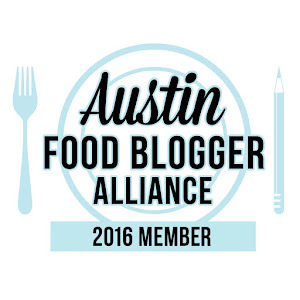 It was our first time trying this brand of goat cheese, made in Montgomery County, TX, but it will certainly not be our last. The flavor was light but rich & so spreadably smooth. While pouring over the choices at the store, I came upon Wensleydale cheese with bits of dried apricots mixed in. I am really glad I decided to give this one a whirl. It's the ideal dessert cheese. The body of the cheese itself had an almost custard-like taste that was perfect for an after-meal bite & the pieces of apricot provided a welcome shot of sweetness. There were several styles to choose from, including ones with cranberries or blueberries. We'll be buying this cheese again, too. I am a fan of almost every type of nut & I think any kind that is your favorite would be amazing with cheese, but when it comes to extra special, you can't beat the Marcona Almond. They're crunchy, buttery & make me feel like I'm just one nibble away from Spain. The really good stuff. What's a dessert without at least a little chocolate? For this cheese plate, we went with the Millcreek Cacao Roasters Himalayan Sea Salt bar & it was divine. The hint of salt proved to pack a mighty punch with the deeply rich 70% dark chocolate & helped further the match-made-in-heaven combo of savory & sweet.